Every one of us is both able and disable compare to everyone else. 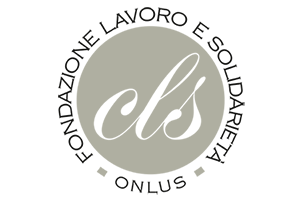 The CLS Foundation has joined the web to encourage us to reflect together about Psychophysical Disability. Every step of the journey will invite us to express opinions and make proposals, to enrich and share our knowledge and also to open open new paths towards coping with psychophysical disability. We wish you all a great journey, together. 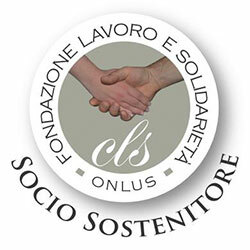 CLS: Work and Solidarity Cooperative. The name is important, but what does it really mean? For us, it means “doing together” (cooperating), being a solid, integrated, deep unit (solidarity, from the Latin word solidus), using the tool that best allows the expression of personality (work). These words are beautiful and important but sometimes they risk being just words. In 1983, a group of determined volunteers decided to turn these words into facts, founding CLS and focusing on people with psychophysical disabilities. Their decision was based on the conviction that the very fact of being a person is what gives men and women dignity, regardless of their diversity, acknowledging that everyone, including themselves, has their own different ability. Peers to peers, everyone with their own strengths and weaknesses. We do things together, work together, think about life together, peer to peer, man to man, regardless of individual ability, because this is the only condition that gives everyone the same dignity. And how do you express solidarity? This concept of voluntary action leaves no room for pietism, sentiment and action that involuntarily marks the distance from others and prevent us from getting close enough to others to absorb their characteristics, fatigue and social standing. In this way of seeing things, voluntary work exists as pure involvement, with the conviction that everyone – even those who are weakest – have the chance to give their lives the same meaning that everyone wants for themselves. , linked by a continuity that aims to mark the differences only when they become evident and create an obstacle to ordinary social life.
. But in life’s more complex moments, the category of the disabled, those who are unable to cope with these moments and have to settle for a non-ordinary way forward, emerges in the collection vision. I belong to the able category and I know what disabilities I have. At which time during your life have you needed someone else’s help? The level of disability creates isolation and the risk of marginalisation. , in the role that is possible for him, which has to be a role of leading importance. CLS has decided to take care of the psychophysically disabled. This form of disability is caused by brain damage which is either congenital or caused by injury and which, depending on its severity, can result in difficulty with walking, control of manual ability and speech, as well as intellectual difficulties. The CLS mission is to help these people to recover their unexpressed potential, finding appropriate daily operational methods, achieving goals in activities that suit them, feel the weight and the value of their actions, in a condition of self-confidence which makes them feel rightfully active and important within society.